“The current trend is that countries do not recognize SADR. Do you know of any country that recently recognized it ? Yes I can tell you those who withdrew it, like Malawi,” said the Moroccan official. The future will see other countries to withdraw their recognition of SADR, he added. For the second time in history, King Mohammed VI is attending an event in the presence of Polisario Front’s leader Brahim Ghali. The first time was in January 31 in Addis Ababa, where King Mohammed VI delivered his speech at the 28th African Union (AU) after rejoining the AU following 33 years of absence. The King has been invited to sit with Antonio Guterres, the United Nations Secretary General, while the Polisario delegation joined the normal delegation seats, fixed in an alphabetical order. 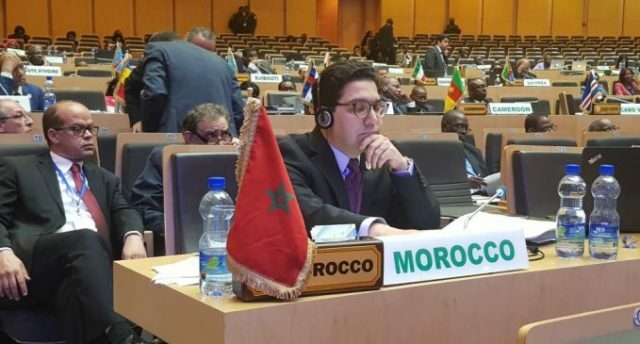 During the interview, the Moroccan official also said that “Morocco has taken an offensive step to never leave the chair empty,” referring to Morocco’s previous policy of being absent from events attended by the Polisario Front.